I'm looking forward to seeing how this mod progresses. Does this mod come with a black leather trench coat and mirror-shades? Seriously though, have you guys put any thought into potential villagers for this mod? It'd be cool to see a ripperdoc, or fixer bumming about a Minecraft village! It looks like it has something to do with Forge since it doesn't happen on older versions. I got rid of my arms... What do I do now? One of the hands down best mods for 1.10 and 1.11. Such an amazing project thank you Flaxbeard! Wow, this looks awesome! Definatly gonna try it out later. I got some cross mod compatibility suggestions that, based onw hat you got so far, shouldn't be too hard to do: Advanced Rocketry and Galacticraft compatible upgrades. Hello, I'd really like to use this mod but I encountered a problem I can't resolve by myself and it seems nobody else got this. When the mod is installed (solo or with other mods), EVERY single entity is invisible and have no hitbox: passiv or aggressiv, mobs are there, you can hear them but can't see them or hit them BUT monsters can still kill you. Same with dropped items, if I drop some stone blocks or diamonds on the ground I won't see any of these but you can still pick them up. So I don't know what is happening, this bug only appears with this mod and only this one, when uninstalled all is back to normal. Porblem Fixed, as I reinstalled one by one I found that CustomNpc make the bug quoted above, but the fact that it still bug with only CyberWare is because I test all my mods on a single map and I had some CustomNPC saved files on the map so totally my bad. There are currently only 2 CustomNPC for Minecraft 1.11.2 and I tried both and both do the bug. Might have found a bug with the charger block. I've tried powering it with everything, RF and Tesla, but no matter what, nothing seems to happen when I hop on top: no particle effects, no charging, nothing. The power-generating implants work just fine. Do you have a battery installed? @Flaxbeard Any plans on adding those crates? I'd love to craft a GPS locator and search for em. What'll the recipe be? 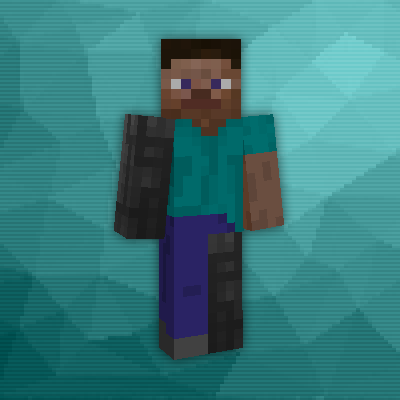 Btw, love the Scanner saying "Unveiling Herobrine". Reference to the Mojang update notes joke. Did Flaxbeard disable getting Cyberzombies from spawners recently? Considering they're rare enough as is, making them only naturally spawn just makes it a bit too hard. Also, how can I use Minetweaker to find out the data needed to /give myself salvaged cyberware?